Thanks everyone for your support and advice, this has been a fun project! Going forward I might start a regular thread as it was great for motivation and keeping me on my toes. With that said here is my final entry for the Cubebrush Art War 2! Glad to be entering again this year everyone! The idea of the Light vs Dark as a theme is great. I choose dark mwhahahah! My agent of evil is Joliet! 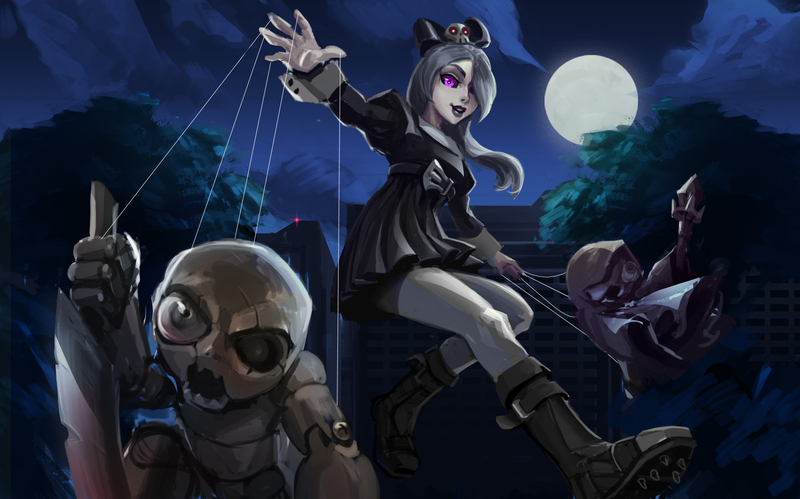 A puppetmaster who turns her enemies into her treasured marionettes to manipulate, what's more her dolls keep all the abilities her victims had in life. Some say their very souls are trapped within in unending torment! 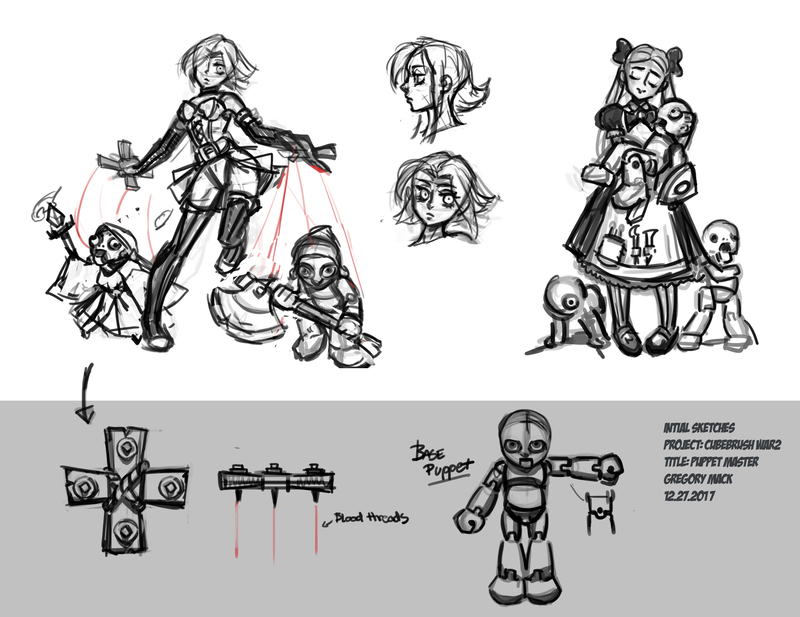 Here are my initial sketches when I was trying to nail down the characters mood/motivations. Hey! 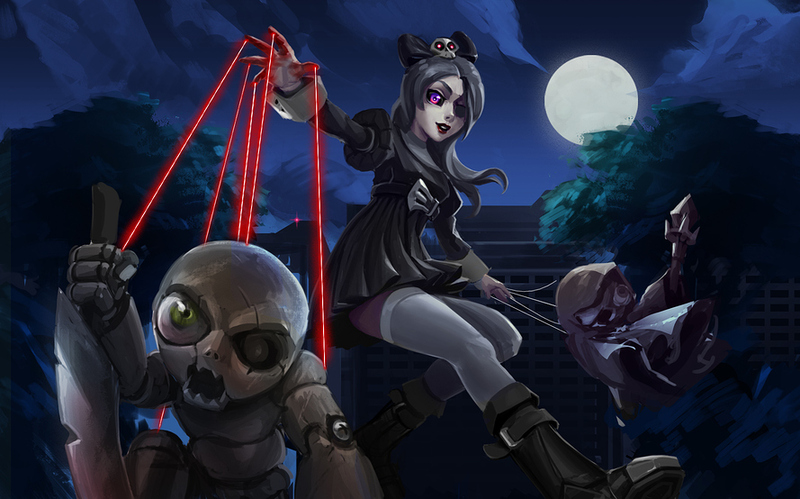 Nice concept, I think you make it really spooky/dark/ creepy. Keep up the good work! I agree, great concept. Looking forwards to it. Thanks guys! Just uploaded my recording now! You know it's funny when you just consume YouTube content you don't think of all the little things you have to build, like thumbnail, setup twitter etc. took more time than I realized to just test out my workflow ahah. Another Update! I've spent a while mulling over the character and trying to understand the characters 'feel' materials and mechanics wise. To give context I'm creating Joilet for an imagined MOBA, so three lane hero focused game play. My initial reference was from victorian and school uniform influences, but I believe that's a little too narrow. 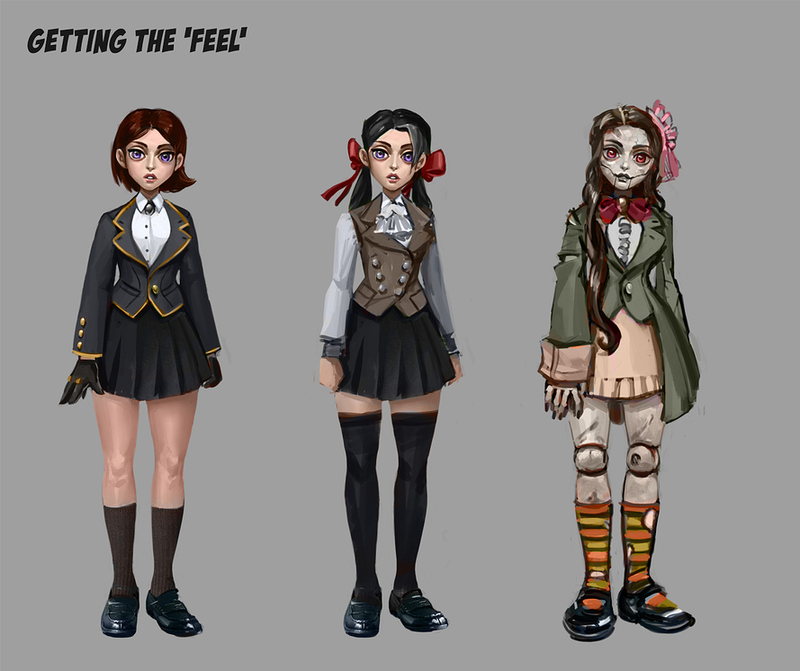 Up next is a lot more iteration/exploration focused on clothing and facial characteristics! Good luck whichever you choose, and have fun! Here's further exploration of Joilet, aiming for a more contemporary look and materials. I'm leaning towards 5 as the direction to pursue. I think you should go with 5, looks great! Working on laying out turnaround and painting structure! 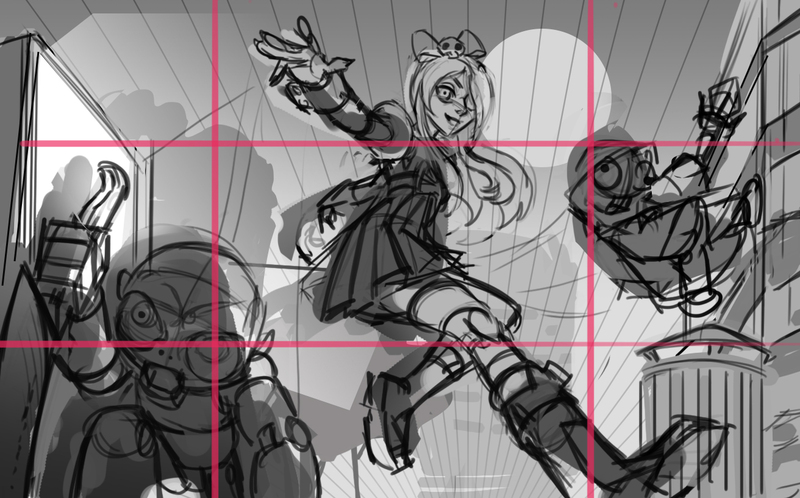 A snipet from my concept sheet, trying to refine+add all relevant content to the 2048x2048 sheet before I really dive into the painting. Update! I'm continuing on with the painting process as I feel my concept sheet is in a fairly solid place now. 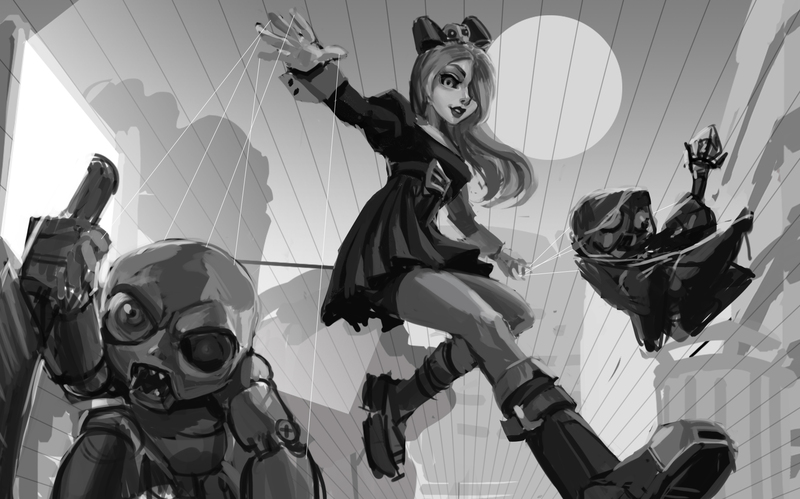 My game plan is to work from grayscale to color using gradient maps and a few layer modes. As of now I am also recording my painting sessions so that I may stitch them together in AfterEffects and show a full timelapse of this entire process! Very Cool designs! I like the overall composition, but it looks a bit to well composed and symmetric, you might want to create some imbalance. Thanks for bringing that up Grafik, this evening I spent a little more time making decisions on what the overall flow was and moving/removing elements. 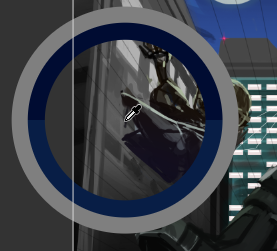 On a side note has anyone had an issue with selecting value on a grayscale layer using 'Current Layer' mode when gradient maps are involved? I dont know why but it select colors at random from the gradient map clipping the folder. This seems to happen on and off but can be a real pain when I want to see how my value is translating to color. Oh my god you're right. Glad I didn't make her a ninja...at least aesthetically different? ahah. Expect to see more soon! Haha yeah it's completely different visually don't worry Just her Lore kinda reminded me of him. 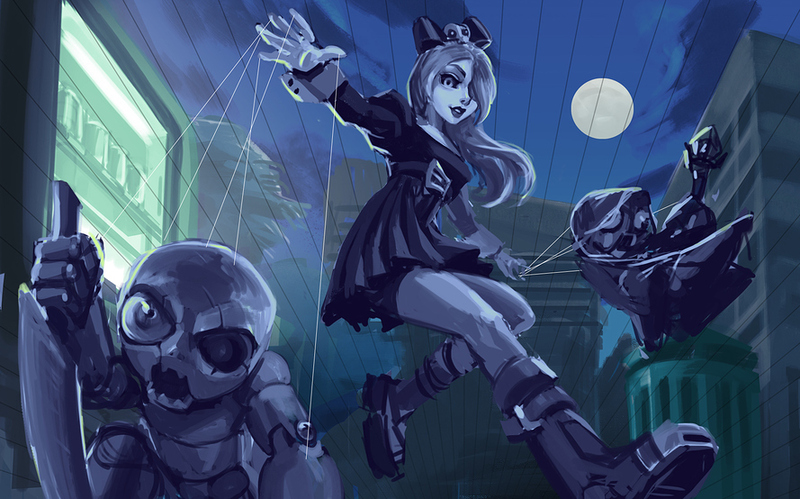 You know: Turning your enemies into puppets and stuff. But still I'm really digging your design! @evehartman Thanks!! Yeah I was thinking an urban night scene would be a break from what I've done in the past. Here's to trying! @Prophantii There is just something so cool about a villain who's whole shtick revolves around enslaving defeated enemies. I think it's a theme a lot of artists enjoy exploring, I just finished Stardust Crusaders and most villains in that show have a sadistic/manipulative nature to them and can enslave others. Here is another on the ol' updates! I continued refining with value and messing with positioning. I plan to do the same treatment again, and add some more color. Right now I'm holding back on applying a great deal of color, the silhouettes for the hair and figures are not definite yet, and it can be a huge pain to go back and adjust masks/manage more layers if I start to soon.